OS FS 81A and putting in an electric motor, but in the end I just couldn’t bring myself to do that to it. 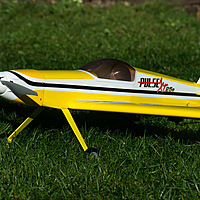 At Wings and Wheels I noticed Ripmax had a AcroWot ARTF for sale with a damaged wing, but otherwise unbuilt. That presented a potential solution, I could just use the fuselage and bung a motor in that. Somebody beat me to it though, and by the time I had had a think it had been sold. 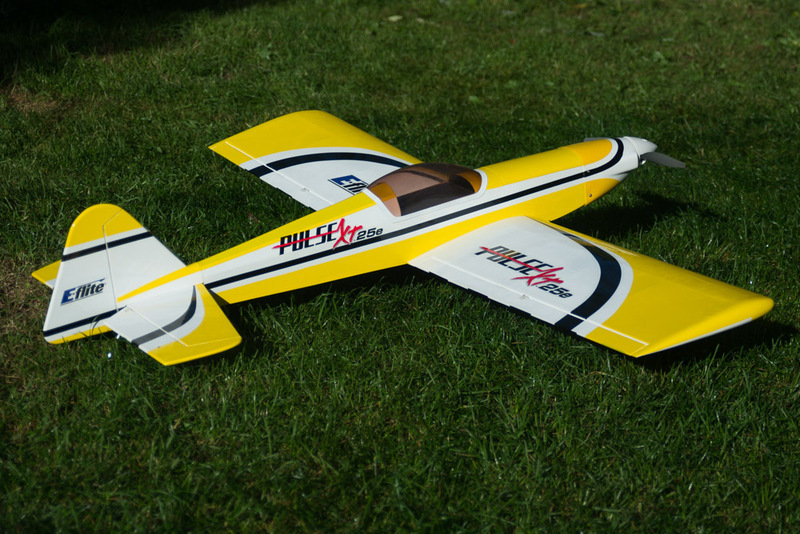 Â After more thought I decided to try something else and buy a dedicated electric airframe, eventually setting on the Eflite Pulse XT 25e. The ariframe went together very well with only one niggle; the canopy was pretty smashed up in the box, but a replacement was out of stock, so I had a 6 week way before one was on its way to me, I could have flown her without but in all honesty with the Tucano and other things I’ve not been too desperate to get her into the air. She balanced exactly where specified with my 3300 in the front, so all is good! 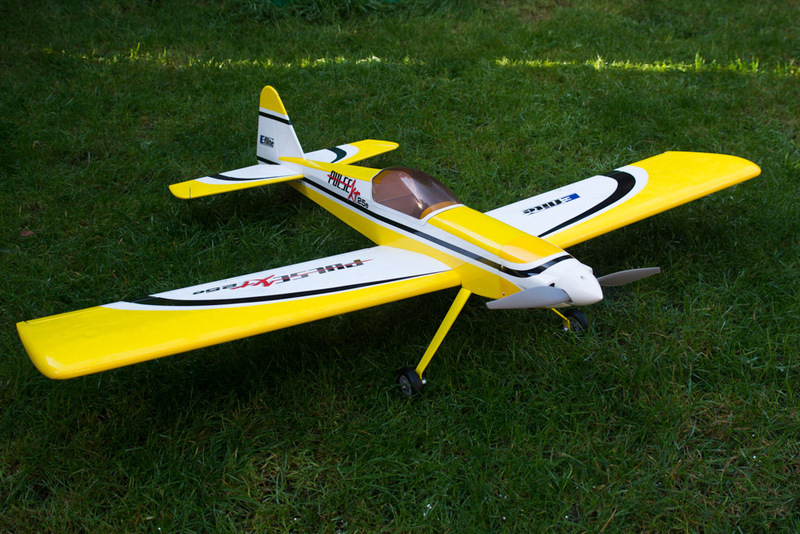 I’ve fitted her out with four Hitec 225MG mini servos, one on rudder, one on elevator and a pair on ailerons, currently connected via a Y-Lead to the RX. 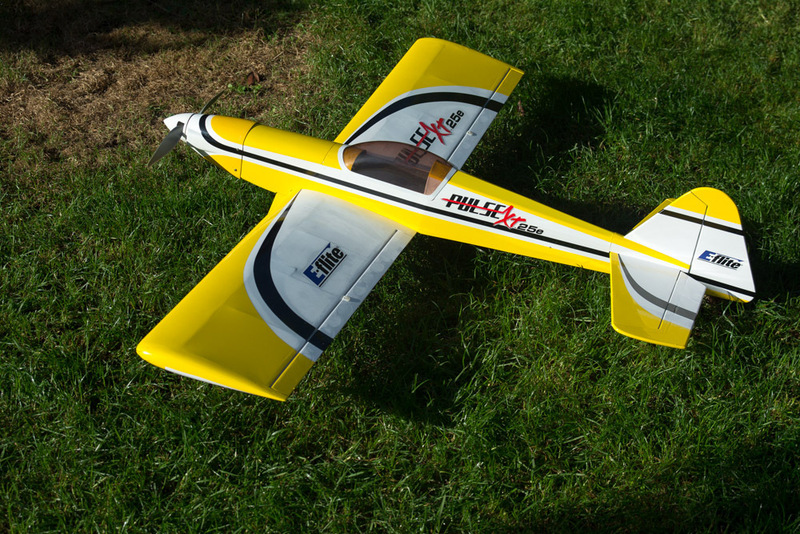 On the ground at full chat this setup pulls 39A, which is possibly a little too close to the limit for the ESC. 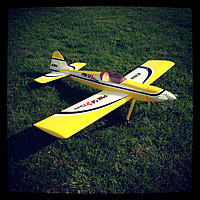 Currently I’m using the 3S 3300mAh LiPos I also us in the Tucano. 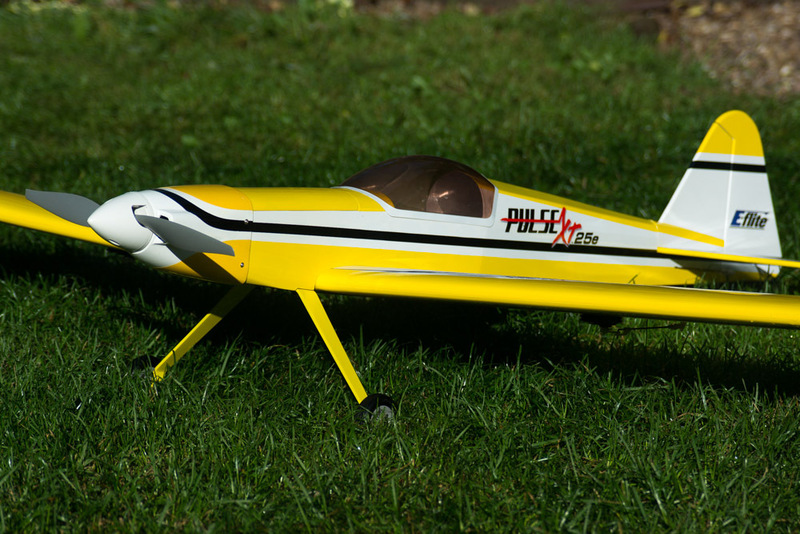 I’m pleased to report she flies excellently, I had 3 lights in total, all without any issues. 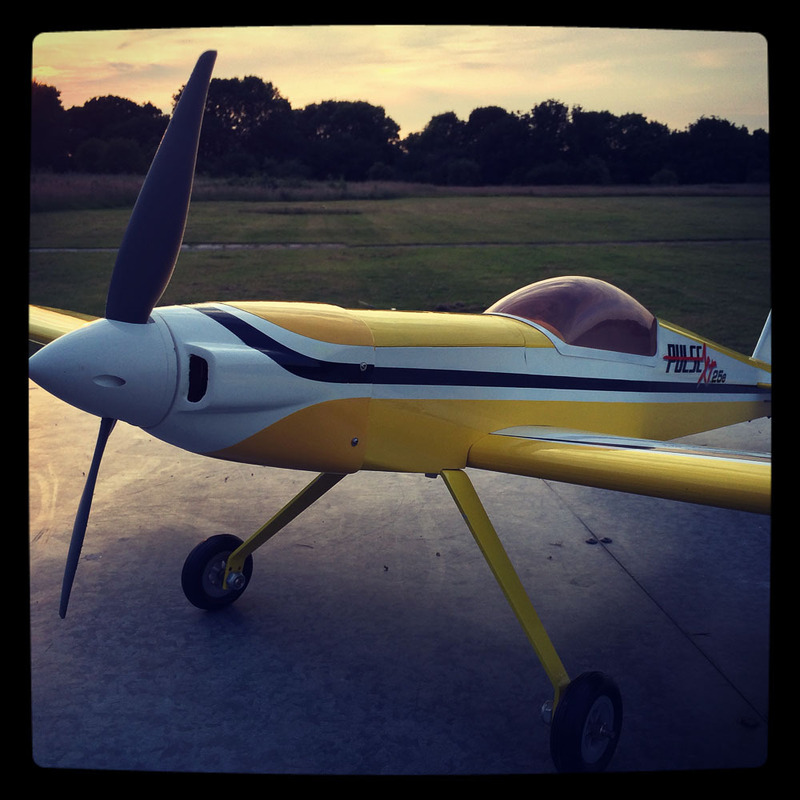 Mostly spent getting the hang of her with circuits and a few gentle aeros. Â Now I’m looking forward to the next flight! 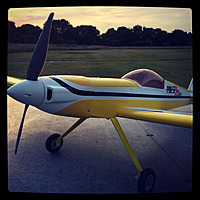 I’ve included a few shots I took of her before the flight below.